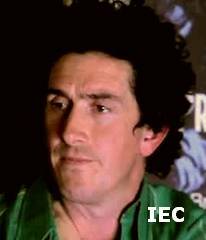 Born: c. 1970, Dublin, Ireland. Education: Dun Laoghaire College of Art and Design [DLCAD] [now Dun Laoghaire Institute of Art, Design and Technology/Institiúid Ealaine, Deartha & Teicneolaíochta Dhún Laoghaire] [Graduated in 1993.]. 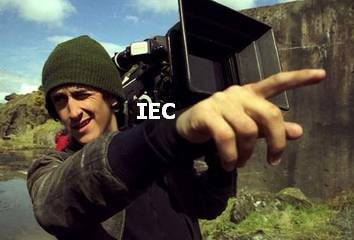 Career: Decided to become a cinematographer at the age of 14 when he, his friends and his cousins commandeered one of his father's KODAK s8 cameras and started making short films. A college course in cinematography in Dun Laoghaire's CAD fuelled that passion. Finishing his college course, he left Ireland following the realization that 'people in London would pay me for making short films which I had been doing for free in Ireland'. Ph web series for the 'funny or die' website dir by Simon O'Neill [2007; 'Possessive Boyfriend 1' (1m10s), 'Possessive Boyfriend 2 (The Brooch)' (1m08s) & 'Possessive Boyfriend 3 (A Walk by the Canal)' (1m24s)]. Awards: IFTA 'Best Cinematography' Award nom  for 'Isolation'; BIFA 'Best Technical Achievement' nom  for 'Fish Tank'; Camerimage 'Bronze Frog Award' , Venice FF 'Golden Osella' Outstanding Technical Contribution , Valladolid IFF 'Best Director of Photography' , IFTA 'Best Director of Photography' Award nom  & London Film Museum Award for Technical Achievement  for 'Wuthering Heights'. Niamh and the Angels [John O'Brien; short] co-loader; ph: ?